As I’ve mentioned before I LOVE pumpkin! I also love ice cream. You know who doesn’t like ice cream? My stomach! It literally butchers my belly! This “ice cream” is soooo delicious and an awesome healthy non-dairy alternative to ice cream! In a blender or food processor blend all ingredients EXCEPT the chocolate chips. Continue to blend until the ingredients become smooth and creamy. If it becomes too melted during the blending process put it in the freezer for approximately 20 minutes. 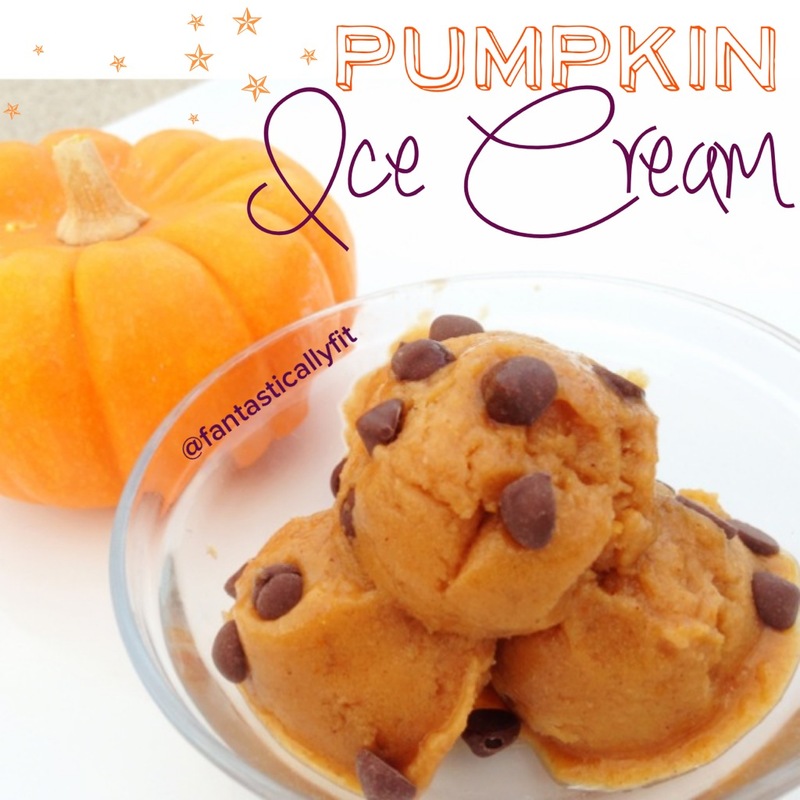 0 Responses to "Pumpkin “Ice Cream”"
Hey thanks for posting! This looks amazing! Any suggestions for banana substitutions? You could try it with a different frozen fruit like mango. But I am not sure how well it will turn out. Omgness I have been following you on IG for sometime and I am do sad I didn’t vist your blog before today! All your recipes look sooooo delicious! I can’t wait to get started on making some! Am defiantly starting with the pumpkin donuts & ice cream! Yay! So glad you like it Make sure to tag and hashtag me if you post it! I cannot wait to see your recreations!